Café Writers is a Norwich based grass-roots writers’ network supporting and showcasing work by established writers in all genres. It also encourages and champions new work by emerging writers. It is run entirely by volunteers that are passionate about encouraging wider participation and excellence in literature. Their Open Poetry Competition funds their programme. Café Writers Open Poetry Competition 2012. Closing date 30 November 2012. Prizes: 1st £1000. 2nd £300. 3rd £150. Six Commended Prizes of £50. Funniest Poem not winning £100. Line limit is 40 lines and you can pay and enter online on the website. 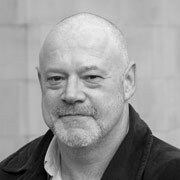 Sole Judge is Ian Duhig. This means, I understand, that he will read all entries. Ian Duhig (pictured) has won the National Poetry Competition twice, and also the Forward Prize for Best Poem; his collection, The Lammas Hireling (Picador) was the Poetry Book Society's Choice for Summer 2003, and was shortlisted for the T.S. Eliot Prize and Forward Prize for Best Collection. His latest collection Pandorama (Picador) is a Poetry Book Society Recommendation. I like his quote: "I do mock literature and take it seriously at the same time, but anyone who is passionately attached to a football team will have similar mixed feelings" from an interview here. 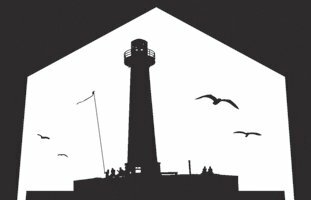 Full details on the Café Writers website. The launch of James Lawless' latest novel, Finding Penelope, published by Indigo Dreams Publishing, takes place in Hodges Figgis, Dawson Street, Dublin today, Tuesday, 30 Oct. at 6.30 pm. All welcome. Dublin-born, Kildare-resident, James Lawless is a fellow Doghouse author, having had his first poetry collection Rus in Urbe published earlier this year. He has published three previous novels and a study of modern poetry. This novel, set amid the expat drug culture on the Spanish Costas, deals with a woman’s growth in self-realisation. James' first novel, Peeling Oranges (2007), is a paternal quest set in the Liberties of Dublin and Franco’s Spain. His other novels are For Love of Anna (2009) and The Avenue (2010), and he has also published an acclaimed study of modern poetry Clearing The Tangled Wood. Unfortunately I won't be able to attend today's launch. Best of luck James! Congratulations to Boyne Writers member, Caroline Carey Finn, whose story, Ghost Estates can do this to a Guy is published in the first issue of Roadside Fiction, a new online fiction magazine. This is a topical piece concerning the ‘ghost estates’ which represent the emptiness and disorganisation remaining after the collapse of the construction-dominated boom in Ireland. The story was the basis for her satire piece for this year's Battle of the Books in Trim which we sadly lost to Meath Writers Circle. This issue also features stories by Paddy Toye, Linda Fisher, John P Brady, Troy Blackford, M.V. Montgomery, Shane Vaughan and Garreth Keating. There are photos by PF Duda, John P Brady and Paddy Toye. 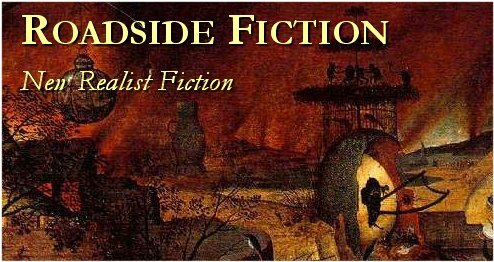 The magazine welcomes submissions of realist fiction and photographs. They say they are especially interested in the wild, rude, amusing, outrageous yet realistic story. From the Irish Times website 10.15 this morning. OK we knew this for the last two weeks but last night they finished the campaign and were presented with the trophy after their match against Shams in the Showgrounds. 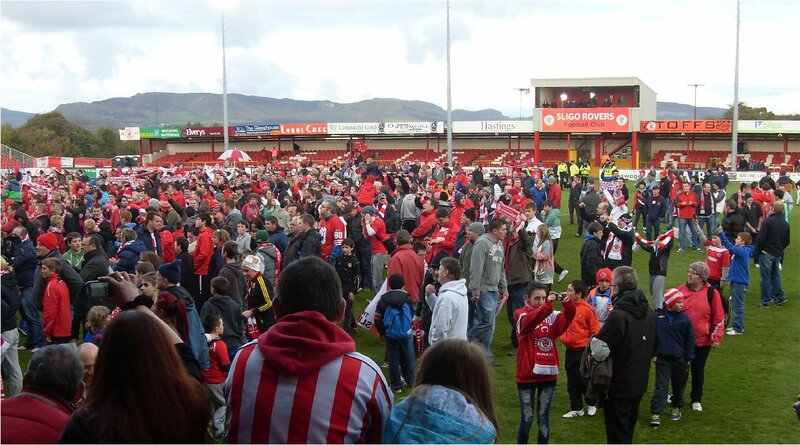 Rovers were beaten 2-0 by the Dublin side but the result made no difference to the league table or the celebrations. The Irish Times can't make up its mind though. The headline says the party wasn't spoiled though the first sentence of the article says it was. I was there. It wasn't. Amazing how the same cliche was rolled out by the writer and the sub-editor who wrote the headline. Did he/she actually read the article? 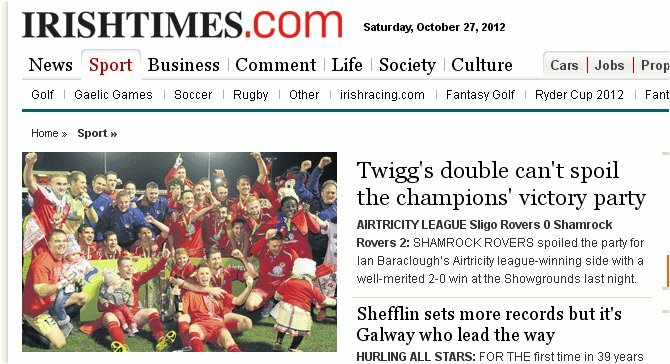 The print edition of the Irish Times I've seen has no mention of the match or the winning of the League by Sligo Rovers at all on the front page of the sports section. Typical!! 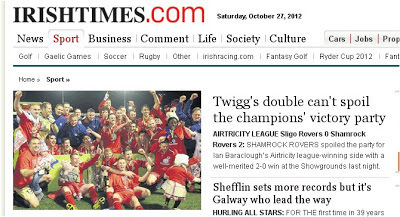 On the other hand there is a very well informed, detailed article on the Irish Independent website, and presumably in today's newspaper, on the significance of the league title for Sligo. I'm reminded of a Bob Dylan line from Brownsville Girl "If there’s an original thought out there, I could use it right now". A staged celebration of poetry will be held in Drogheda on Thursday 1 November to mark the 600 th Anniversary of the unification in 1412 of the twin towns of Tredagh and Drogheda on opposite sides of the River Boyne to form the Drogheda we know today. It starts with Amergin, bard and poet of the mythical Milesians, the first known poet on Irish soil, reputed to be buried under Millmount mound in the southern half of Drogheda. Other bards performing their words to music are modern bard S.J.McArdle, with his lyrics that have all the perception of poems, and an example the wit of satirical balladeer John Shiel from the eighteenth century, again from the south side. Other names of note from the past are Fenian rebel John Boyle O’Reilly from Dowth, deportee to Australia, escapee to America and influential editor and journalist; Francis Ledwige, farm boy, poet, road worker and soldier, who wrote football reports for the Drogheda Independent and was killed in the First World War; and Angela Greene, housewife and poet, who died of cancer in 1997. Living poets will include established figures John F. Deane, Anne Le Marquand Hartigan and Susan Connolly as well as well-known and upcoming local poets Leo de Freyne, Terry McHugh, Marie MacSweeney, John ‘Dixie’ Nugent, John O’Rourke, Leeanne Quinn, Barbara Smith, and Tomas De Faoite. Appearing in Drogheda-based performance poetry groups Word Jungle and Hudson ‘n Fitch will be Nuala Leonard, Brian Quinn, Roger Hudson and the magical sounds of ambiencellist Claire Fitch. The evening’s performance will be introduced by the Mayor and archaeologist Geraldine Stout, who will fill in the historical background, and presented by Alison Comyn. The programme has been conceived and assembled by Roger Hudson and Michael Holohan as part of the town’s 600 celebrations. Staging is by Brian Quinn with technical assistance by Penny Smith. Venue: Droichead Arts Centre Theatre, Stockwell Street, Drogheda. Time: Thursday at 8.00pm. Admission: Free, booking advisable. And finally here it is. After three years of research, writing, rewriting, editing, photograph searching and choosing I have got an advance copy of the Sligo history book. It looks good, a nice size, good striking cover and Four Courts Press have done a great job of the production. 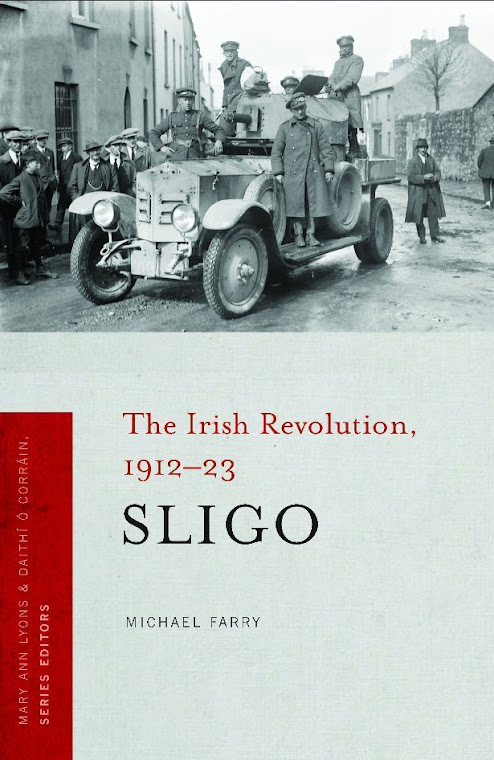 Professor David Fitzpatrick describes it well in his generous foreword : Michael Farry, already the leading historian of revolutionary Sligo, contributes a succinct yet detailed narrative of the county's political evolution between 1912 and 1923. That succinct and detailed was the most difficult part. Only 70,000 words, including footnotes to cover twelve momentous years. The difficulty was making it short and at the same time keeping some of the glorious details, the interesting stories and the local colour. I hope I have done this well. It comprises 115 pages of text, 28 pages of endnotes and eight pages of a select bibliography. It also has 16 pages of photographs, some being published for the first time. It should be generally available in a week or so and a launch or launches will be held later. The paperback edition is priced at 17.50 euro, web price 15.75 euro. The eleventh Dublin Symposium on Jonathan Swift is on tomorrow Saturday, 20 October 2012 in The Deanery of St Patrick's Cathedral, Upper Kevin Street, Dublin 8. Valerie Rumbold - University of Birmingham. Chair: Robert Mahony, Jonathan Swift Foundation. And the annual Service in Commemoration of Jonathan Swift will be held in Saint Patrick's Cathedral, Dublin on the following day, Sunday 21 Oct 2012 from 3:15pm to 4.15pm. This service is at Evensong at which the address will be given by H.E. Michael D. Higgins, President of Ireland. The service will be sung by the Cathedral Choir (Boys' & Men's voices). 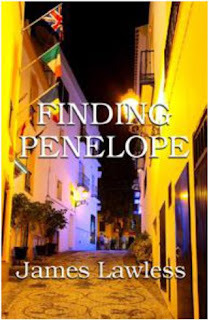 The launch of James Lawless' latest novel, Finding Penelope, published by Indigo Dreams Publishing, takes place in Hodges Figgis, Dawson Street, Dublin on Tuesday, 30 Oct. at 6.30 pm. All welcome. His first novel, Peeling Oranges (2007), is a paternal quest set in the Liberties of Dublin and Franco’s Spain. His other novels are For Love of Anna (2009) and The Avenue (2010), and an acclaimed study of modern poetry Clearing The Tangled Wood. His latest novel concerns 33 year old romance novelist Penelope Eames who moves to Spain to avoid her oppressive father and drug-addicted brother, Dermot. When she meets Ramón, a young Spanish school teacher, she is immediately attracted to him. However, she receives a distress call from Dermot saying he is at the mercy of Charlie Eliot, a pimp and drug dealer on the Costa. 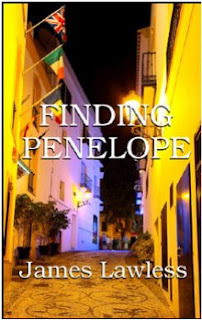 Penelope must decide: is she prepared to compromise herself with Charlie Eliot and jeopardise her chance of happiness with Ramón for the sake of her drug addicted brother? More on the publishers website. After thirty five years! And what a see-saw game with all the thrills you don't really want in such an important fixture. Two up at half time, it seemed all over. But Pats came out and scored two quick goals to silence the Showgrounds. Gradually Rovers came back into it and deserved to win even if the penalty award was "dubious", "harsh" and/or "controversial". A great occasion. 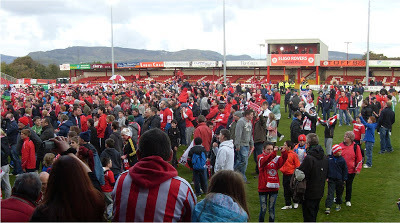 Over five thousand supporters in the Showgrounds, you had to be there an hour before kick-off to ensure a seat in the main stand; lots of colour, live coverage by RTE and the correct result in the end. And two goals by a local, Cretaro from Tubbercurry. I got a text from someone who caught a glimpse on me on TV, sombre in the stand after the final whistle - "You won! Why so glum!" Not glum but a mixture of disbelief and relief after thirty five years of following results and waiting. I was there in 1977 - a lifetime ago it seems. Some footage from that game on YouTube. Jessica's report here on extratime.ie. A long and enjoyable Thursday in Limerick attending the various Cuisle Limerick City International Poetry Festival events. And International it certainly was! John Pinschmidt, a retired American High School teacher, now living with his Irish-born wife in county Limerick read at 1pm in the Hunt Museum. He took us on a journey from the USA, to Berlin before the wall came down, to rural Limerick. 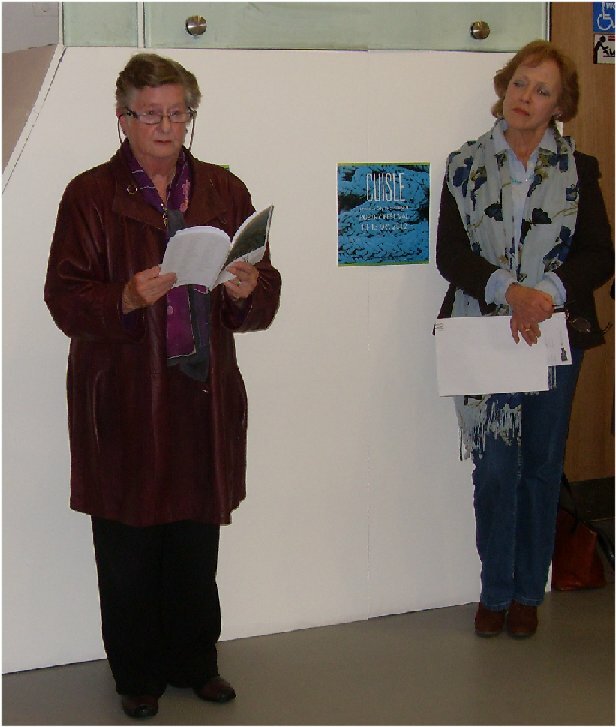 At 7pm The Stony Thursday Book was launched by editor Jo Slade and Limerick Arts Officer, Sheila Deegan. Three members of our LitLab group are included in the anthology, Honor Duff, Pat Devaney and myself. Honor and I read our poems to a large, appreciative audience. 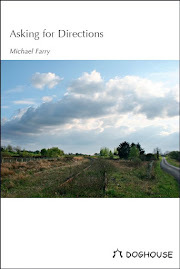 The sixty nine page book is a beautiful production and the poems are wonderfully varied in themes and styles. At 8pm we had readings by Slovenian poet, Radharani Pernarcic, who read in Slovenian and English; by English poet Lorna Thorpe, who read from her Sweet Torture of Breathing which deals with her close brush with death following a cardiac arrest; and by widely-published Irish poet Máire Áine Nic Gearailt. These readings were following by films. The first was a series of readings by Latin American poets marking the publication of Hallucinated Horse: New Latin American Poets. This was introduced and translations read by Tom Slingsby of Pighog Press. And finally we had a short film, Room, scripted by Limerick poet Mark Whelan. A busy day indeed. And the festival continues until Saturday night. More details on the website, on the Facebook page and some photographs here on Flickr. 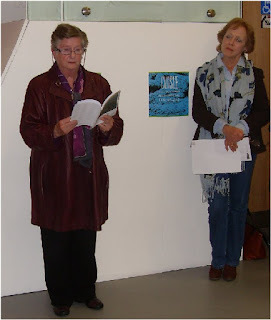 Picture above is of Honor Duff reading at the launch with Stony Thursday editor Jo Slade. This evening sees the launch of the Stony Thursday Book, the annual poetry collection published in Limerick. The editor this year is Jo Slade and the launch takes place tonight at 7pm in the Belltable Arts Centre, Limerick. I'm delighted to be included in what is usually a very fine production. 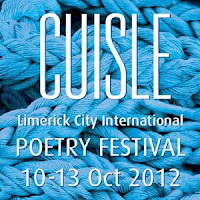 The launch event is part of the Cuisle International Poetry Festival. The 17th annual Cuisle Limerick City International Poetry Festival will take place from Wednesday 10 October to Saturday 13 October. Events include evening performances at the Belltable, readings over lunch at the Hunt Museum, screenings of poetry films each night, book launches, a varied programme for schools, the annual Poetry Slam Competition, and the Young Poet of the Year Award. There are also open mic sessions, music, and socializing, all in the warm tradition of Cuisle. Full programme on the website here. 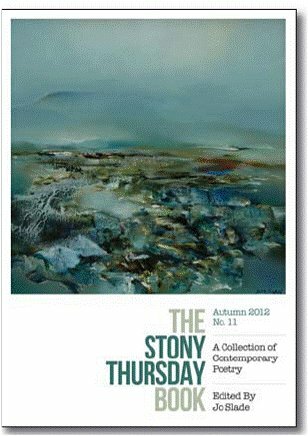 I'll be down for the launch of the Stony Thursday Book on the Thursday, it includes a poem of mine with a Limerick setting. I'll probably also attend the reading that evening. 8pm: Readings by Lorna Thorpe, Máire Áine Nic Gearailt, Radharani Pernarcic. More details on the Festival Facebook page. The Merriman Short Story Competition is dedicated to the memory of the late Maeve Binchy, who was a life-long supporter of Cumann Merriman and a regular visitor to the Merriman Summer School in Co. Clare. 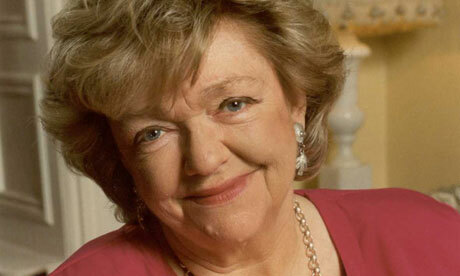 In 2005 Maeve wrote a special short story for the Brian Merriman bicentenary celebrations. The story, entitled ‘A Week in Summer’, was read by the author at that year’s Summer School in Lisdoonvarna and was recorded live. A limited edition of the story was subsequently published in CD and booklet form. Maeve generously donated the royalties from the US edition to Cumann Merriman, and she agreed that her donation be used to award a short story prize. A prize of €1000 will be awarded to the winning short story, which must be original, unpublished and unbroadcast. Entries should be not more than 2,500 words in length and set in Ireland. Stories may be written in Irish or English. The competition is confined to writers born or living on the island of Ireland. The closing date for entries is October 31st 2012. Entry fee is €10. The Merriman Short Story Competition is being run in association with Cumann Merriman, the Ennis Book Club Festival, Clare County Library and the Irish Times. The winning story will be read at the 2013 Ennis Book Club Festival and will be published in the Irish Times.Entries may be submitted by email or in hard copy. Hard copies, accompanied by cheque or postal order made out to Cumann Merriman Teoranta should be addressed to Merriman Short Story Competition, Clare County Library, Mill Rd., Ennis, Co. Clare. Email copies in pdf format should be sent to merrimanshortstory@gmail.com. Accompanying entry fees must be posted to the address above. Entries for which fees have not been received will not be considered. Only one story per entrant will be accepted. The entrants’ names should not be written on the manuscripts but should be written on a separate sheet, along with the title of the story and full contact details (address, telephone numbers, email address). Writers’ names will not be revealed to the judging panel. Under Thirty is a non-profit project that showcases young Irish fiction at home and abroad. Through a bi-annual journal, they intend to publish high quality peer-reviewed short fiction. In this way, they will provide aspiring writers access to an audience of experienced writers, academics, publishers, (including me), who work entirely voluntarily to help them to develop their skills, and nurture them on their formative first steps into the literary world. The most promising submissions are published in the journal, available as an e-book, and as a printed book – an award is given to one outstanding new writer in the form of a scholarship or writing retreat. 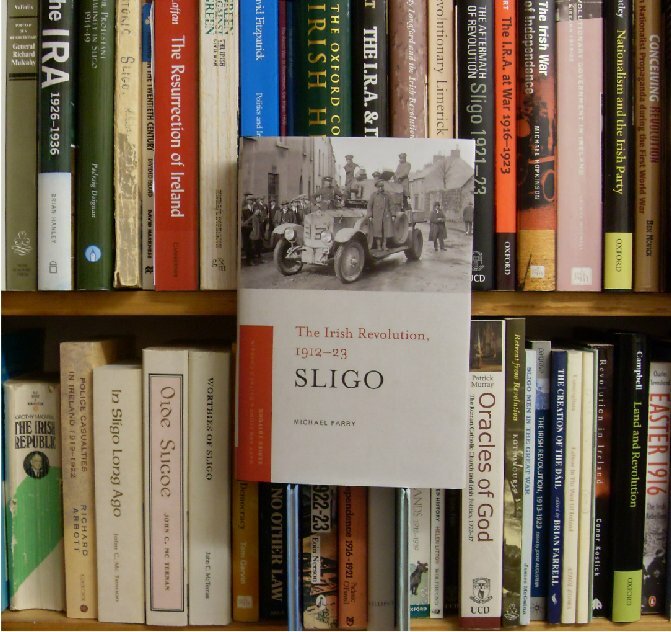 The current focus is on young writers who are resident in Ireland, and Irish writers abroad. In 2013 it is intended to expand the project to the UK and USA, and include writers of younger children’s literature of any age. The journal is currently inviting submissions for the first issue of the journal as follows: short fiction (1,500 to 2,500 words); flash fiction (up to 500 words); longer fiction pieces in episodic form (e.g. 5,000 words over two issues). Each submission fulfilling the entry guidelines is reviewed independently and anonymously by two members of the review panel, and finally by the editor prior to inclusion in the journal. Anonymous feedback is provided to the writer regardless of inclusion in the journal, and later resubmissions are welcome. 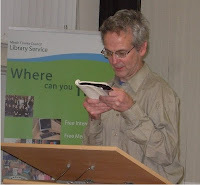 The poetry reading at the Library, Navan last evening was a most entertaining event. A fantastic selection of favourite poems from all ages and of all styles. W. B. Yeats to Thomas Grey, Gary Snyder to Jenny Joseph. One of Hilaire Belloc's Cautionary Tales was recited by heart by a lady who had learned it in school! I often read Matilda (who told lies and was burned to death) by Belloc at the readings in Knightsbridge Nursing Home and it goes down well. Full of wonderful rhymes and the whole over the top mock didactic style is great. 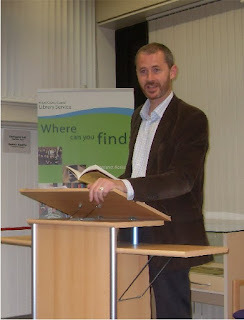 Poet and librarian Tom French (right) oversaw the event and Meath Writers Circle was well represented. James Linnane (below) and myself kept the Boyne Writers Group flag flying. I read the last two parts of Under Ben Bulben - Irish poets learn your trade and Under Bare Benbulben's head. I also read Father and Son by F. R. Higgins for its Trim connection but also because it a great father-son poem. 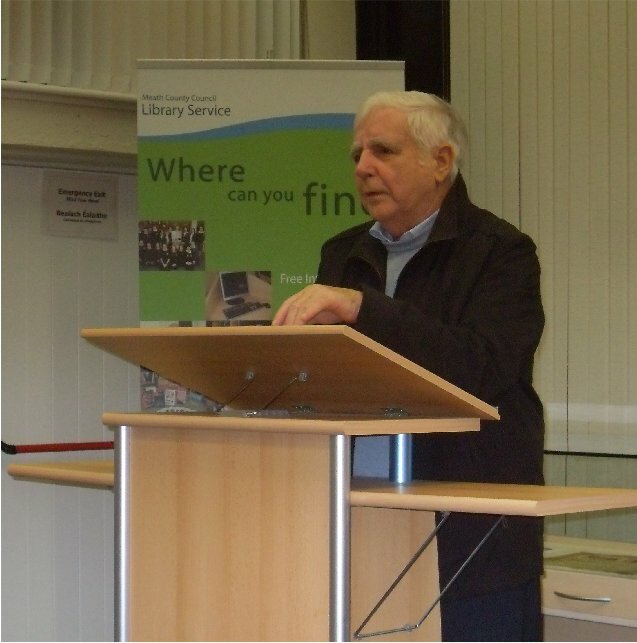 There were readings by some members of Tommy Murray's Meath Junior Writers writers who are launching an anthology soon. Peggy Murphy also read. She is launching a DVD of her poetry collection (Dunshaughlin My Home Town) in Fergie's of Kilmessan on Friday the 12 October at 7.30 PM. Anyway it all went very well and we made sure Poetry Day was well marked in Navan. Below: Tommy Murray. 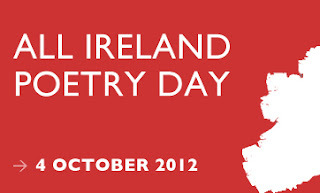 All-Ireland Poetry Day takes place on this Thursday, 4 October. This celebration is now in its 5th year. The object of the day is to celebrate poetry in every county in Ireland and in a variety of ways via imaginative programming, scheduling, venues and locations. The response has been a continued and pleasant surprise through the different ways they have sought to deliver poetry to audiences of all age groups. Boyne Writers Group has organised no event this year having been so taken up with the Boyne Berries launch. However members will be involved in the various events taking place in Meath and Cavan. Meath County Council Library Service presents a reading with Tom French and open mic poetry events in their Ashbourne, Dunboyne, Navan and Oldcastle Libraries. ‘Words and Music’ A look at Irish poems that have been transposed to song with singer Teresa Carley. At the Canopy, outside Johnston Central Library, Cavan town. From 10am -12pm school children from Cavan town schools will assemble outside Johnston Central Library. The children will write their own or favourite poems/haiku on a balloon with a workshop facilitated by poet and Windows editor Heather Brett. After selected readings by students each class will release their balloons and good wishes to a waiting wind. Karina Charles, songwriter and broadcaster will be on hand to lend support with some of her musical friends. From 1pm to 2pm Heather Brett, will host an open mic session at the same venue for all who have written and want to engage with an audience. She will also read her own work. As an editor she is delighted to hear new voices so please come along and share your poetry. 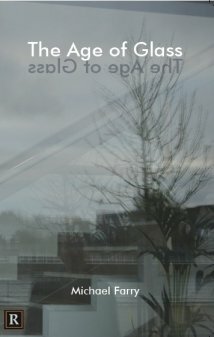 Full list of events for the day on the Poetry Ireland website.